There are many meanings for Japanese particle ga (が) and one of the common meanings is "but" which is used as a connector of 2 sentences. In the following example, it is used to connect a positive-meaning phrase and a negative-meaning word into one sentence. Meaning: The food of that restaurant is delicious but expensive. In this lesson, you will see that the particle ga can be used as an introduction in the first sentence without the meaning of "but". Sometimes it's also known as "Introduction のが". In this sentence pattern, Sentence2 is always what you want to bring out. Sentence1 is just a kind of introduction. When you are asking a question to someone, normally you will say "excuse me" first, then you ask the question. In Japanese, you will normally put すみませんが (sumimasen ga) as some kind of introduction before you ask the actual question. Meaning: Excuse me, how much is this? Similarly, you want to ask "how much is this?" to the shop assistance, but you will first say すみませんが (sumimasen ga) as some kind of introduction before you ask the actual question. Meaning: I ate sushi last night, it was very delicious. Meaning: Teacher, I don't understand the portion here, please teach me. Meaning: We can see a tall building over there, what is that building? In example 1, you want to say the sushi you have eaten was very delicious. Before that, you started the sentence by saying you ate the sushi last night - ゆうべすしを食べましたが (yuube sushi wo tabemashita ga). It's kind of an introduction sentence before you bring out the theme that the sushi was very delicious. In example 2, your main aim is to ask your teacher to teach you something. Before that, you started with an introduction sentence that you don't understand about a portion - ここが分からないのですが (koko ga wakaranai no desu ga), and then continue to ask your teacher to teach you. 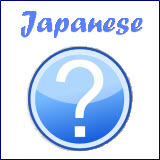 You will use this sentence pattern of Japanese particle ga frequently over the phone. In example 3, when talking over the phone, you first introduce yourself before asking for the person you want to talk to. In this example, you will say your name is Tanaka (for example) - 田中ですが (tanaka desu ga), then you ask for Mr Yamada - 山田さんはいますか (yamada san wa imasu ka). In example 4, your want to know "what is that tall building?" - あれは何ですか (are wa nan desu ka). But before you make the question, you describe what building you are talking about ending with the particle ga - あそこに高いビルが見えますが (asoko ni takai biru ga miemasu ga). It works as an introduction before you ask the actual question. In summary, the particle ga が here works as an introduction before you bring out the actual thing you want to say. 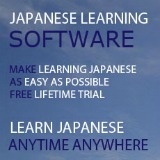 The native Japanese used this very frequently in their daily dialogues. Basic Lesson 11: Basic Particles. Basic Lesson 14: Particles Change in Negative Answers. 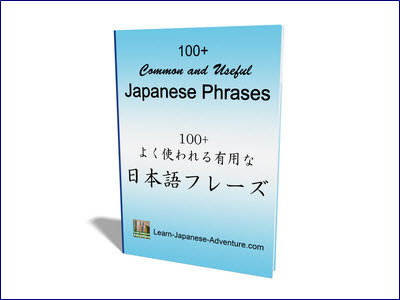 Basic Lesson 15: Particles ka (か) and mo (も) with Question Words. Basic Lesson 16: Particles to (と) and de (で). Basic Lesson 24: Particles wa (は) and ga (が). Basic Lesson 27: Particle to (と) for quotation. Lesson 18: Particle de (で) with more functions.